Saddam Hussein and the fall of Babylon-2! were recorded to our first website years before they happened! Please see note below this table of links to explain why it is here. We begin by discussing the 1150 days of Daniel 8 since we have already discussed the other sequence of events and their numerical fulfillment in the links in the above table. 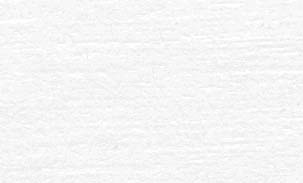 You will find the information somewhat scattered throughout the above documents because they were being fulfilled as I wrote them, making it difficult to go back and insert new information properly. 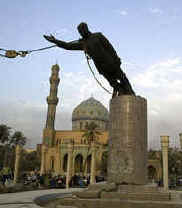 The Iraq war began late on March 19, 2003, and the statue of Saddam toppled 3 weeks later on April 9, 2003, marking the psychological end of the war. It happens that from the time the mene-tekel-code came to me on the morning of Feb. 4, 2000 (not the 'hand' code), until the exact middle of this 21 days of war are also 1150 days! The 3 weeks of war are thus divided in half by the 1150 days. Recall the prophecy: "Peres, your kingdom is divided." Also, note this verse from Daniel 9, "about a great war." Mene-code begins to be revealed Feb. 4, 2000, with the discovery of the acrostic, "the one putting him to death." The code's themes are: 'Babylon's king killed', and then 'The Darkened Lamp,' (and in that order). "The Ram" "The Two Candlesticks" (antithetically speaking) "Abomination causing desolation" "Blessed is he who waits till..."
Compare the following chart (taken from the Internet) with this one above. It was published on the internet 5 or 6 years ago. The 'book,' (which I never completed), providentially is called, "The Writing on the Wall," with the Rembrandt picture of the code at top of each page. This is significant since I never as much as knew that there even was a code within those four words "mene, mene, tekel, uparsin," at the time I received those numeric revelations!!! The exact dates of the various fulfillments of the bible code were revealed back then without my realizing it! Not just the same pattern of 430, 1150, 1260, 1290, and 1335 days/years (and other numbers), but the actual dates that they were to occur! Moreover, the day (today, Oct. 7, 2003) is the day that my eyes have been opened to realize all this, and this date is central to the entire vast schema of these numbers! Note the 7-years of Joseph's famine: This 7 years is divided in half as 3½-years plus 3½-years when studied in detail. This helps explain why there are plus and/or minus 3½ days on the mene-tekel code prophecy of events as tabled. The code is patterned after the Writing on the Wall book, which is patterned after biblical history. In other words, the mene-code is repeating history again in short order. The basic similarities between the two charts are obvious. Note the repetition of the 1150, 1260, 1290 and 1335. (The 430, too, is repeated, as discussed some time ago here, as is 360, 390, and 1299. See the 5-part series on the mene-code. For example, from the Twin Tower collapse until the end of the said "1335 days" are 360 + 390 days, which is exactly the 2-year anniversary on the 360 calendar (with the leap month added). This is also the deadline that I gave the Lord to prove to me that the bible codes were real beyond doubt and are in His perfect will. However, when I chose that date, I did not know at the time that the day chosen was 1335 days from when the code first began to come to me! "Blessed is he that waits for and reaches until the 1335th day." This "two years" is part of a complex mirroring pattern going backward in time, so that the two years signifies "a time, times (i.e., 'two years'), and a half a time." This is difficult to explain quickly, but I have studied this phenomena for the past 10 years. For just as the codes can go backward, so can the numbers. And each and every day from the dawn of the Creation represents a consecutive symbolic year of time, which is the key to understanding the revelation. And the opposite is true as well: Each year starting from the Creation (and before) can symbolize a consecutive day of time. This is also true with the codes. And each picture code joins with other picture codes to create increasingly clear pictorial detailed prophecy. Besides this website, here are other sites that elaborate on these things. Each has a piece of the puzzle.